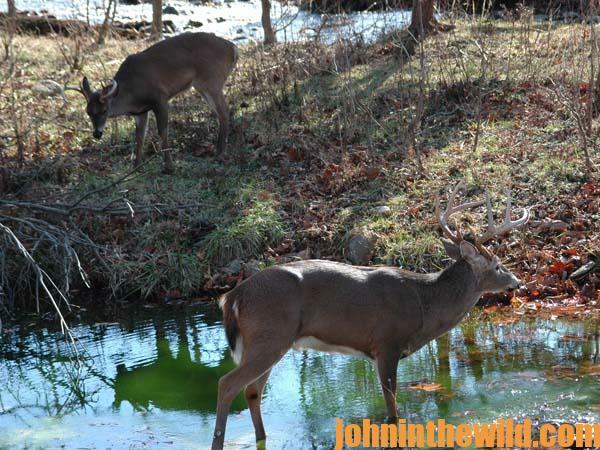 John’s Note: The easiest way to bag a buck, which may eat 5-9 pounds of 300+ foods per day, is through his stomach. 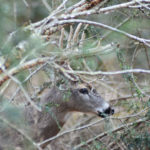 Learn which foods are what deer like best and also when and why they eat. 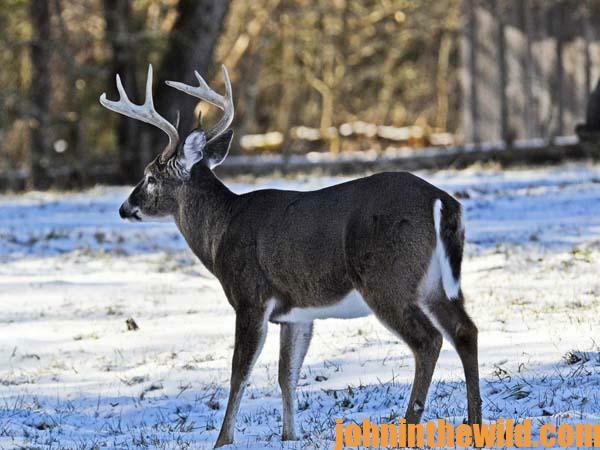 During the fall and winter when rains and snow often cover the ground, much of the deer food will be inaccessible to the animals through the snow or underneath the water. However, once again, the deer don’t stop eating. They change their feeding patterns. When the snow comes, the deer will browse on small twigs and leaves that are above the snow. If the rains cause flooding, oftentimes the deer will look for food on high ground. 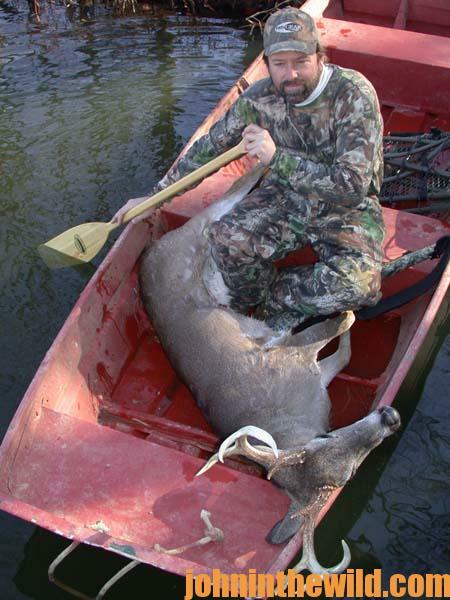 But what some hunters fail to realize is that often the deer will feed right out in the water. In many river-bottom swamps, after the acorns have fallen, and the land becomes flooded, the acorns will float to the surface. And, depending on the water’s current, the acorns may be right on top of the water for the deer to eat. 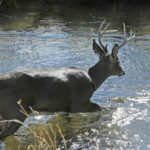 I’ve seen deer along a flood plain wading in chest-deep water, picking the acorns up out of the water and feeding on them. 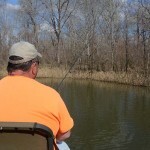 If there is a current coming into a flooded hardwood bottom, the acorns will float to the surface and collect along the edges of the water or in pockets near the back of the flooded land. Wherever the acorns float to and concentrate is where you can expect to find high concentrations of deer. Sometimes the acorns and the deer will collect in unusual places. One year I found a productive stand where I took two fine bucks. The acorns from the hardwood bottom had floated up to the surface. As the water came into the swamp, the acorns were washed into a pine forest about 1/4-mile from the bottom. Although normally there was nothing in the pine forest for the deer to feed on, when the water brought the acorns to the pines, it also drew the deer and made for excellent hunting. 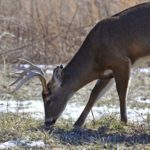 If you remember that deer have to eat, and if you know what they prefer to eat, where the food source is found, and whether or not that preferred food is in relatively short supply, then locating deer to hunt can be simple. 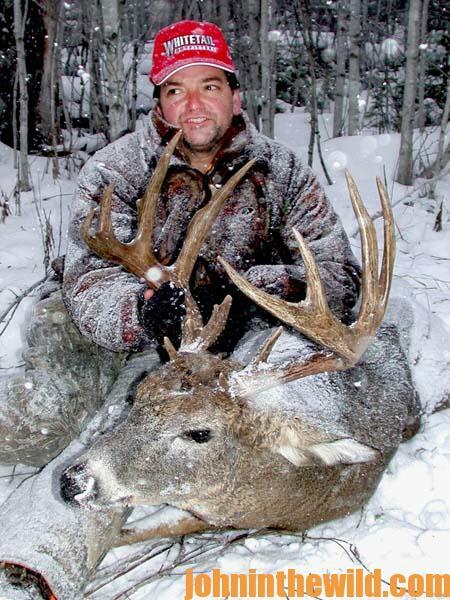 The hunter who gleans information from wildlife biologists, learns where the plants, trees, shrubs, fruits and nuts that the deer like to feed on are located and watches for the deer to change from one feeding pattern to another greatly will increase his chances of success this winter. One of the best ways to take a buck this season is to learn what the deer is putting in his stomach. Then you will know where you have to be to take him. 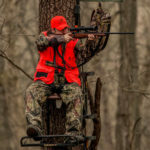 To get John E. Phillips’ eBooks and print books on hunting deer, “How to Hunt and Take Big Buck Deer on Small Properties,” “How to Hunt Deer Up Close: With Bows, Rifles, Muzzleloaders and Crossbows,” “PhD Whitetails: How to Hunt and Take the Smartest Deer on Any Property,” “How to Take Monster Bucks,” “How to Hunt Deer Like a Pro,” and “Bowhunting Deer: Mossy Oak Pros Know Bucks and Bows,” or to prepare venison, “Deer & Fixings,” click here.